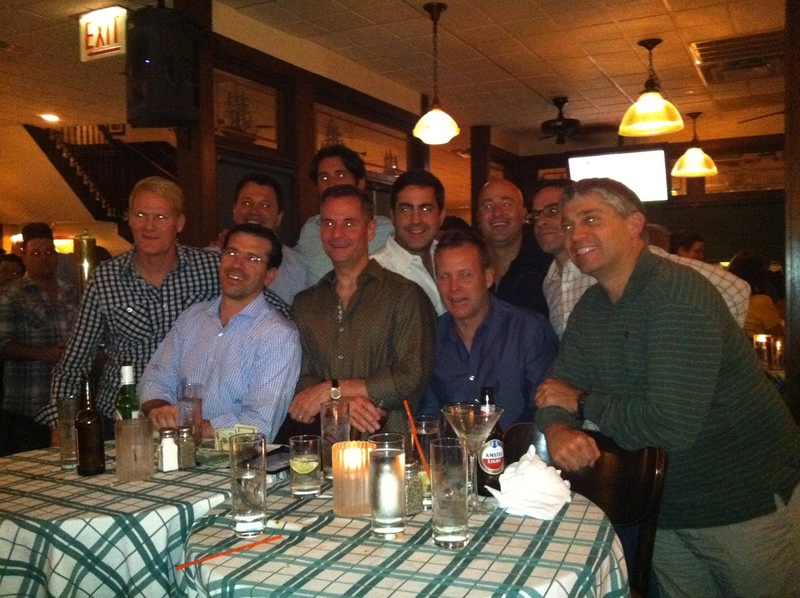 I’ve been off the grid for a few days after a great “guys” weekend in Chicago. This was our annual trip for 11 of us who originally met in graduate school (Kellogg) almost 17 years ago now. Hard to believe its been that long although we probably acted much closer to our ages 20 years ago this weekend than our current ages! Typically we go to Charleston, SC for a golf weekend but this year we decided to mix it up and go to Chicago to watch the Chicago Cubs take on the Giants at Wrigley Field and also go back to some of our Chicago haunts when we were together at Kellogg. It’s funny how our conversations change over the years when we get together. 17 years ago most of the group was still single, partying a little harder and was, well, just generally more immature. Our common bonds were based on the “fun” times we shared in business school and that’s what dominated most of our conversation. But today, we talk about family, kids, our professional challenges and get advice from one another in addition to reminiscing about the more rambunctious times. Of the 11 of us that were together this weekend, 7 are married and 4 are single. And among the 7 married guys, 16 children and 1 in the oven (mine!) are represented in ages ranging from 9 to 2 years old. Maybe that’s why everyone looked so tired? I’ll soon find out I guess. I find I always come home from these trips energized (although physically tired!) and connected and wishing I did a better job of staying connected throughout the year with this group of friends. They all have a lot to offer. It has me thinking about many other friends who have come and gone throughout the years who would be additive to my life but somehow I’ve lost touch with. Life is busy, we go our separate ways, geography separates us, we make new friends, we have less and less discretionary time it seems. While technology such as Facebook has enabled us to “view” what is happening in our friends lives, it certainly doesn’t by itself promote meaningful relationships. That still and will always require effort. So that’s what I’m going to do, really make a point of reaching out to a select few that I’m closest to and have lost touch with in order to develop more meaningful bonds than just a few yearly conversations.